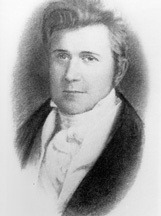 WILLIAMS, John, (brother of Lewis Williams and Robert Williams, father of Joseph Lanier Williams, and cousin of Marmaduke Williams), a Senator from Tennessee; born in Surry County, N.C., January 29, 1778; completed preparatory studies; captain in the Sixth Regiment, United States Infantry 1799-1800; studied law in Salisbury, N.C.; admitted to the bar of Knox County, Tenn., in 1803 and commenced practice in Knoxville, Tenn.; captain of regular troops in the War of 1812 and was colonel of a regiment of East Tennessee Mounted Volunteers in the expedition against the Seminole Indians in Florida in 1812 and 1813; colonel of the Thirty-ninth Regiment, United States Infantry, in 1813, and subsequently served under General Andrew Jackson in the expedition against the Creek Indians in Alabama; elected in 1815 as a Democratic Republican to the United States Senate to fill the vacancy caused by the resignation of George W. Campbell; was subsequently appointed to fill the vacancy in the regular term caused by a recess of the legislature; was then elected in 1817 and served from October 10, 1815, to March 3, 1823; unsuccessful candidate for reelection; chairman, Committee on Military Affairs (Fourteenth through Seventeenth Congresses); appointed by President John Quincy Adams as Charge dAffaires to the Central American Federation 1825-1826; member, State senate 1827-1828; died near Knoxville, Tenn., August 10, 1837; interment in the First Presbyterian Church Cemetery. American National Biography; Dictionary of American Biography; Maiden, Leota Driver. Colonel John Williams. East Tennessee Historical Societys Publications 30 (1958): 7-46; Heiskell, S.G. Col. John Williams. In Andrew Jackson and Early Tennessee History, vol. 1, pp. 490-96. 1918. 2d ed. Nashville: Ambrose Printing Co., 1920.